With a high cost of living and different cultural and working etiquette, Japan is typically a challenging destination for assignees. Yet many expatriates will thrive in this new and exciting environment and often the whole family will enjoy the assignment. ExpatFinder is here to assist you in your relocation to Japan, all at the click of a button. With its bright neon lights and larger than life signs, it’s easy to fall into the trappings of Japan’s highly urbanised cities. Despite the high quality of life, it is interesting to find how deeply rooted the Japanese are to tradition. The "Land of the Rising Sun" totals over 3,000 islands, is between 70% to 80% forests and mountains and consists of four major islands: Hokkaido, Honshu, Shikoku and Kyushu. The climate varies from cold temperate in the northern part to subtropical in the southern area. Japan has made its mark in the auto industry, finance, transportation, publishing, electronics, broadcasting industries, tourism, steel plants, manufacturing, textiles and luxury goods industry, often credited with efficiency and dependability. The yen is the local currency. The country is ruled by a constitutional monarchy with a parliamentary government. The head of state is the Emperor (defined as "the symbol of the state and the unity of the people"), and the prime minister is the head of the government. Japan has one of the largest influxes of migrants in the world with a steady, annual flow of 15,000 immigrants. Japanese are hospitable to any foreigners or gaijin. The native tongue, Nihongo (Japanese), is the language of choice; the locals sporadically speak English, but most can understand English, as this is a prerequisite for their education. Although you can easily get ‘lost in translation', don't let it keep you from making your acquaintance with the locals. Considered as one of the most dominant nations in Asia, Japan is a country located between the North Pacific and the Sea of Japan. It has been a famous destination for expats from different parts of the world because of its stable and prosperous economy. Once you arrive, prepare to feel like you’re in two different timelines. Japan is one of the biggest names when it comes to technology and robotics, so when you go around the main cities, you will immediately feel an intense futuristic vibe. But once you visit rural districts, it’s like you just stepped into a time machine and taken back in time. 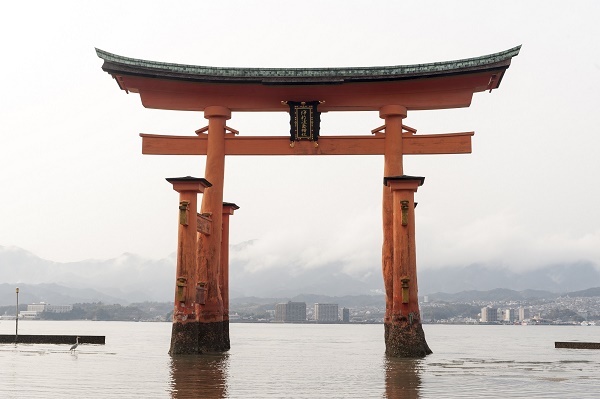 You will find amazingly preserved Imperial palaces, ancient temples, Shinto shrines and beautiful women wearing kimonos. Here are some essential but helpful tips that can help you in your new life in the Land of the Rising Sun. You can go through online portals for available rentals in Japan even before your arrival. It will give you some idea about the prices and location of the properties. But once you’re already in the city, the best way for you is to contact an English speaking realtor that can help you with your search. The average cost of essential services like water, gas, electricity, garbage collection, etc. in the city is €150. You can apply for an internet connection once you’ve settled in and the speed is fairly good. An unlimited internet service with a minimum speed of 10mbps is roughly €40 monthly and local prepaid mobile calls are charged €0.35 per minute. Japan is a populous country and just its capital Tokyo is already cradling 16.2 million people which mean that finding an available accommodation in this overcrowded city can be quite a task. It is highly advisable for expats to start gathering information about the Japanese housing market even before arriving. Another factor in preparing when relocating to Japan is the expatriate’s finances. Most rentals in this country are let unfurnished so tenants must prepare to spend some money either in buying appliances/furniture or shipping their existing belongings. It is also common to find a house/apartment where the cost of utilities is not part of the monthly rent. In Japan, an expat must prepare a budget of around €170 to €200 per month to cover their water, heating and electricity. If you are looking for a short-term rental, you should ask around for a gaijin which translates to foreigner house and the agreement is on a per-month basis. Apartment buildings or what they call manshon is the ideal housing for you if you are planning to stay for longer period. A huge number of expats are living in Tokyo, the city capital of Japan and its centre of business and commercial market. Most gaijins are in here. A one bedroom apartment in this busy and lively metropolitan is around €1000 while a three bedroom unit is €3000 per month. If you are relocating with your family, you can check out the district of Chiba located just outside Tokyo. It has a more peaceful and quiet environment but still conveniently close to the city centre. There are many theme parks and pristine beaches in Chiba that your family will surely love. You can find a one bedroom apartment for roughly €500 per month and a three bedroom unit for €1000. Most expats choose to hire shipping and removal services to help them bring their belongings to Japan. Hiring a company like this will save you a lot of hassle and time. The average shipping time to Japan is around 20 – 30 days if it's travelling by sea, which will still vary depending on your country of origin. Containers will arrive in the Port of Tokyo, one of the largest sea ports in Japan and the Pacific Ocean. All domestic pet entering Japanese territory should have two Rabies Vaccination Certificates. You also need to present their International Health Certificate issued by a licensed veterinarian in your country. If you import your pet as an unaccompanied cargo, you should know that there is a detention fee of JPY 3000 or more that you need to pay at the Narita for quarantine. It will cover your pet’s food, boarding and basic care. Japan is a nation full of many beautiful contradictions especially when it comes to lifestyle and various cultural influences. But one thing is certain; you will love the food, community and the way the cherry blossoms put so much colour on the streets. Japan is undoubtedly one of the top expat destinations in Asia because of its dynamic economy and fascinating culture. With its reputation as a global leader in finance and technology, it's no wonder why this innovative country is called the Land of the Rising Sun. Japan is one of those countries that managed to stay firmly rooted in tradition while unstoppably moving towards modernisation. Its capital Tokyo is world renowned for its futuristic vibe while the rest of the nation still maintains its natural beauty that showcases century’s worth of Japanese history. 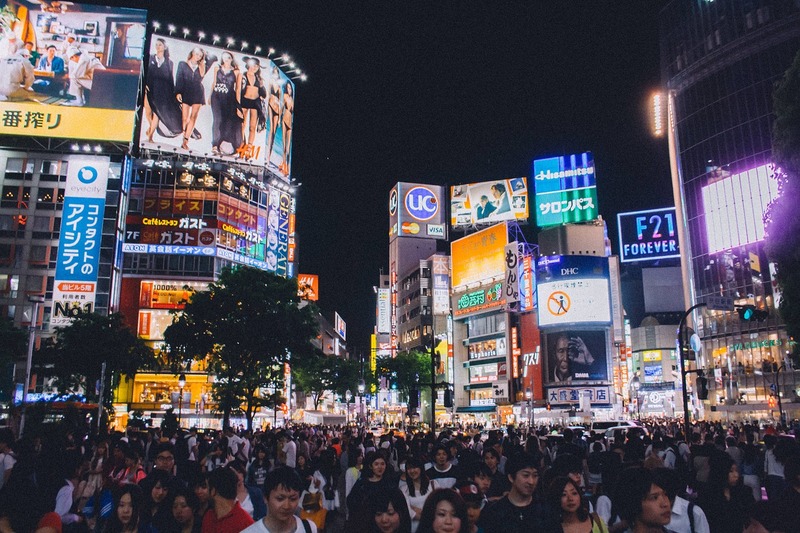 Currently, Japan’s total number of inhabitants is around 130,000,000 which make it the 11th largest country in the world when it comes to population. Expats who are about to move here should expect a high quality of life while being surrounded by a contrast of temples, pachinko (slot) machines, cherry blossoms and towering modernised infrastructures. ohayou gozaimasu – Good Morning! Kore wa ikuradesu ka? – How much is this? Koko de, wa.. – Where is the..
arigatou gozaimasu – Thank You! It is no doubt that Japanese cuisine is one of the most famous kinds of food in the world where almost every country has a sushi bar or Japanese buffet. 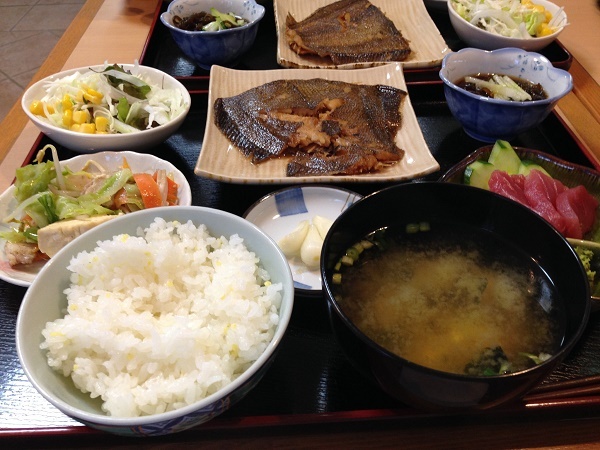 Washoku is the traditional cuisine of the country and is mainly composed of steamed rice in a bowl served with miso soup and several side dishes such as pickled vegetables. Fish and seafood are, either grilled or raw, are some of the traditional foods served in Japan. There is also the tempura, deep fried vegetables and shrimp and tonkatsu which are pork chop dipped in Japanese breading and fried to perfection. The locals use chopsticks instead of fork, spoon and knife when eating. Some dining etiquettes that expats must remember are not to poke it upright a rice bowl, don’t use it to pass food directly to another person and always mention ‘Itadakimasu!’ before eating. It’s a Japanese phrase that means ‘I humbly receive’ and is their traditional way of saying grace for the food their about to eat. Japan has lots of scenic attraction and exciting activities for expats who are relocating alone or with their family. One of the top destinations for kids is the famous Tokyo Disney Resort, an 115-acre of theme park situated in Chiba just outside the capital. Another must see in Japan are its various historical sites such as the Sanjūsangen-dō or more commonly known as Rengeō-in which means Hall of the Lotus King. It is a Buddhist temple located in Kyoto that displays 1,001 statues of Kannon, the Japanese Goddess of mercy. Nightlife in Japan varies with every Region. Expats can start their search for the best bars and clubs in Tokyo the heart of Japan where most of the country’s most famous nightlife strips are located. Another must see the area of Roppongi which is known for its mega-clubs and booming party scene. There is also the district of Shibuya-Ku where the crowd is a bit tamed compared to Roppongi and people can enjoy a more intimate ambience while drinking wine, beer or Sake. Relocation is a big affair, and you need a peace of mind entrusting it to a company. Compare multiple pricings for your move.